Wentworth District Racing Club has been racing for over 150 years. Our first race meeting was held in Wentworth on New Years Day, 1862, a picnic affair on the clay flats at the northern end of the town, near the Race Course Hotel. 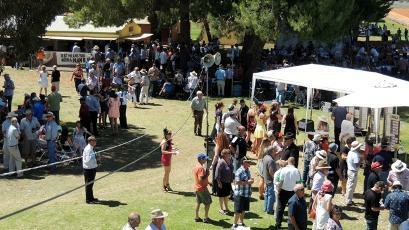 150 years on and the Wentworth Races are still an important part of Sunraysia’s social calendar and history. 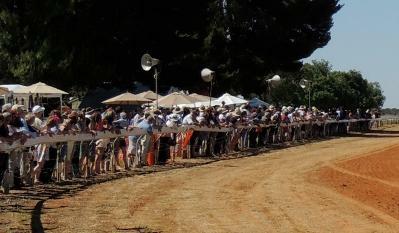 Our one and only race meeting for the year is held on Melbourne Cup Day, the first Tuesday in November and droves of country and city folk come from near and far by plane, boat, 4 wheel drive and car, to enjoy the Sport of Kings with friends and family. In fact many make a long weekend out of it and enjoy our BIG DAY OUTBACK FESTIVAL, which starts on Saturday and finishes well after the last race on Tuesday. 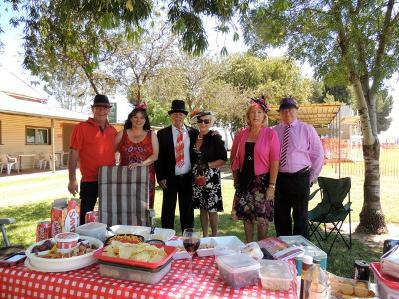 Situated a stones throw from the Junction of the Murray & Darling Rivers is Sunraysia’s original Race meeting, The Wentworth Races. Spend a relaxing Melbourne Cup Day in the Outback at the Wenty Races with Friends, Family & Country Folk that love a good time! is to go to the Race Meeting that stops the Country! Yes the famous Wenty Races. Our one and only race meeting for the year is held on Melbourne Cup Day. * Race day Luncheon lean-to Alfresco. * Plenty of space, shade, parking and hitching rails. Race name sponsorship is a unique way to advertise and it also enables you the option of entertaining Associates, Employees or Friends. So if you would like a race named after you, your family, your mates or your business, (which you may be able to claim as a marketing tax deduction), please contact us.